Can Biodegradable Pollutants Cause Environmental Problems? In an industrial society that produces millions of tons of waste every year, disposal becomes a major issue. Recycling, landfills and incineration all play a part in the solution. The effects of toxins in garbage, and the sheer physical mass of its presence, cause concern for municipalities and waste disposal agencies in many places. The size of some landfills is nearly inconceivable. The Fresh Kills landfill, on Staten Island outside of New York City, takes up 2,200 acres. In a society that generates this amount of garbage, land use for landfills becomes an issue. Particularly in densely populated, high-consumption places such as Japan, the amount of space being dedicated to storing trash is disturbing to residents. Solutions include recycling, reduction of packaging, and lowering consumption rates. Many types of objects that are thrown away contain toxic substances that can leach into soil and water, affecting the health of plants, animals and humans. Electronics contain mercury, lead, cadmium, chromium and other metals that compromise environmental health. 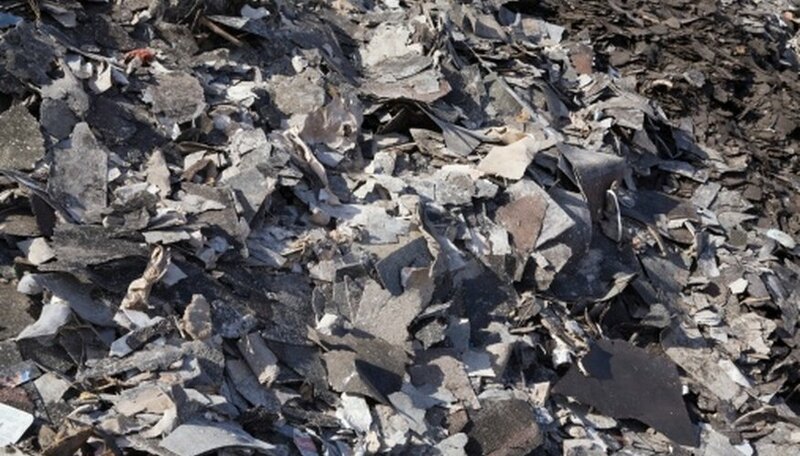 Construction waste may contain asbestos, fossil fuel derivatives, and other toxic substances. Measures to control these substances are hampered by the fact that they are dispersed within millions of tons of less toxic trash, making their removal very problematic. When trash and garbage are put into an enormous pile, they begin to rot. This rotting creates methane, a greenhouse gas that is many times more potent than carbon dioxide. Methane exits the landfill and floats up into the atmosphere, contributing to global warming. One of the best solutions to this problem actually turns it into a benefit: if the methane is captured as it escapes the landfill, it can be burned and turned into electric power. 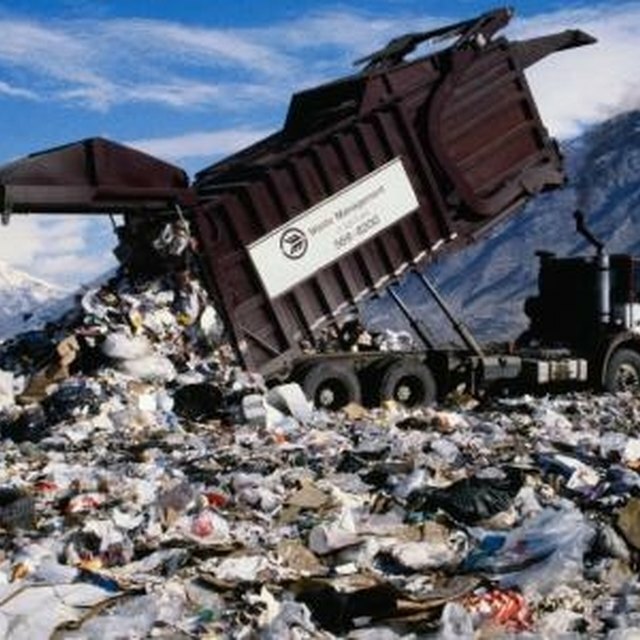 This solution is already being used at many landfill locations. One effect of solid waste disposal that is less severe but more familiar to many people is bad smell. Neighbors of landfills often complain of the smell that emanates from them, and this is one of the reasons that proposals for new landfills are frequently opposed by neighbors of proposed sites. While projects that use methane for power reduce the amount of noxious gases that escape a landfill, they don't totally eliminate the bad smell. Given the size that landfills grow to, there is no readily available solution for the problem of smell. The effect of human waste on the oceans is becoming more widely known since wide publicity has been given to the "garbage patch" in the Pacific Ocean, an area larger than the continental United States that is overrun with plastic trash. This is only the most dramatic example of the threat to oceans that is posed by human waste. Xaxx, Jagg. "The Effects of Solid Waste Disposal." Sciencing, https://sciencing.com/list-7431070-effects-solid-waste-disposal.html. 09 January 2018. How Is Plastic Trash Affecting the Ocean Food Chain?